Beverly L. Vesel & Associates, P.A. is a bold and effective family law firm based in South Florida. Prepared to address family matters and domestic disputes through a host of effective strategies, we offer superior legal support and representation. Welcome to Beverly L. Vesel & Associates, P.A. Beverly L. Vesel & Associates, P.A. is a law firm based in South Florida. Our attorneys are concentrated on cases concerning marital and family law. From prenuptial agreements to divorce and child custody issues, our attorneys are here for you. We prioritize the needs of our clients, no matter the case. Beverly L. Vesel & Associates has over thirty-seven years of experience in family law. 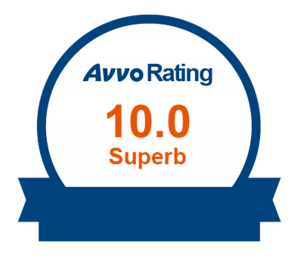 Our AV Rating, the highest peer-review rating a law firm can achieve, signifies that our law firm demonstrates the highest levels of expertise, legal ability and integrity. Contact the legal team at Beverly L. Vesel & Associates at (954) 234-5422 or contact us by email today to learn how we may be able to represent you. Beverly L. Vesel & Associates is devoted to our clients and providing them ardent representation becoming of our legal ability and integrity. This AV rated family law firm is experienced in handling and resolving complex financial matters, equitable distribution and asset protection including prenuptial agreements. We are zealous child advocates dedicated to achieving the best results for our clients and their children. We recognize the human aspect involved in a divorce and/or child custody as it affects not only the client but their children and family. We specialize in handling high income & complex financial divorce and family law matters and handle sensitive domestic matters. We specialize in handling sensitive domestic matters, approaching each case with understanding, experience, and perspective. No matter the case, our attorneys are here for you. About beverly l. vesel, p.a. Beverly L. Vesel has led an accomplished legal career that spans over thirty-seven years. She is dedicated to her clients, providing the focused and experienced representation they deserve. Ms. Vesel treats every case like it’s going to trial. Ms. Vesel has over thirty-seven years of experience in the areas of marital and family law and litigation and is proud to share her experience. She attended Brooklyn College of the City University of New York, receiving her B.A in Political Science with honors. She studied Law at Shepard Broad College of Law. She is a past chair of the Family Law Section of the Academy of Florida Trial Lawyers (now known as Florida Justice Association). In her capacity as Chair, she performed lobbying functions in Tallahassee, reviewed bills and legislation. She has presented seminars for continuing legal education. She has written several articles on behalf of the Academy on Ethics and Attorney Fees. I highly recommend Ms. Vesel. A very professional and intelligent attorney. Her knowledge and expertise in divorce law helped immensely. A pleasure to work with! Beverly is the kind of person who listens to you, and helps you through a problem. She gave a clear picture of what she thought was best, but let me decide what to do after suggesting several choices. She kept me informed of everything she did, and her fees were in line. Hard working, knowledgable, trustworthy, responsive , Ms. Vesel represented me in a divorce. As a psychologist I ask her opinion with regard to family law. She always knows the legal answer. When I first met Attorney Vesel, I was terrified of what lay ahead of me. She clearly and confidently told me exactly what to expect, and gave me the strength to get through the difficult things involved in my divorce. There were custody issues involved, and she fiercely advocated for my children as if they were her own. Her qualifications are outstanding, she is highly respected by her peers and by the court system, and her office. Ms. Vesel is without a doubt the best attorney ever. She handled the most difficult and complex divorce case with grace, ease, professionalism and knowledge. I could NOT have gotten through this terrible time in my life without her. She not only had the legal expertise needed to handle this difficul case but she has a heart of pure gold. She is, simply put, the best! I was represented by Ms. Vesel in countless lawsuits with my ex-husband over a 6 year period. She knows case law better than anyone. If she tells you to pursue a specific strategy or gives you advice to follow...listen to her. The one time I stubbornly followed my own instincts I lost. The times I listened, we had judgments in our favor. Ms. Vesel is extremely effective. She knows the case law, the judges, and what you can expect as an outcome. Her written documents are impeccable, direct, and point out the obvious and not so obvious with the backing of case law. In court she is the silver tongue that judges listen to while completely intimidating the opposing side. You cannot be represented by anyone better than her in court. I have referred several friends and coworkers to Ms. Vesel. Their experience has been the same as mine--honest, ethical, with outstanding results. My only advice is listen to her. When you are in the midst of a lawsuit you lose the ability to truly see things in an oibjective, unemotional, and reasonable light. This is the time you need to trust the advice of a seasoned attorney. You are in good hands with Beverly Vesel. My ex-husbands attorney put it best when he said that Beverly is the "Neiman Marcus" of attorneys and he is the" Walmart". She provides "quality" and he deals in "quantity". He was not speaking about her "cost" but her "service". In searching for attorneys I found her fees to be comparable and reasonable. I was represented by Beverly Vesel in a complex relocation/custody/divorce case. Without a doubt Ms. Vesel is a "10 star" attorney. She is professional and knowledgeable. She will tell you exactly what to do and what to expect. If you listen to her advice without a doubt she will put on a winning case for you. Not only is she an excellent lawyer but she is also a person with a very caring heart. Her heartfelt concern for me was not just as a client, but also as a mother of two very young children who deserved a better life. We will be FOREVER greatful to Ms. Vesel and her team. Beverly Vesel made sure she secured a marital settlement for me considering the amount of years I had been married. Not only is Beverly proficient in what she does she is extremely sensitive to her clients emotional needs. A true professional with a Heart of Gold. I would recommend her to anyone, be it a male or female. She is an asset to her profession. Beverly Vesel in my opinion was excellent in every way. Her knowledge, personal intervention and her sincere approach to solving this problem were very comforting to me and my family. Her professional attitude was amazing. From the beginning of my first conversation with Beverly, I knew we had hired the proper attorney. Beverly also acted with a very caring attitude, which enabled my family and I to have complete trust in her firm. Job well done Beverly. Thank you! A truly caring and knowledgeable attorney who was with me every step of the way! I was kept in the loop and discussed the case from different angles. When I first saw Beverly I was an emotional mess. Beverly not only clearly explained the process but also called to check in on me. She is the most caring individual to have at your side at a difficult time. If you want someone who will and who can get the job done but also someone who cares about...You...do not hesitate to hire Beverly. Beverly was recommended to me by a close friend that I trust. I was a mess (stress from the circumstances of my divorce) when I first walked into her office. After that first meeting, I felt a sense of calm and had no doubt that everything would be just fine. She guided me, made me laugh during a very difficult time and was just all around a great shoulder. I cannot say enough about how wonderful she is. I will say this, you don't want her to NOT be on your side. She fights hard for her clients and genuinely cares about them. I honestly view her as not just my attorney, but my friend as well. I am very happy with the outcome of my divorce and all the advice Beverly gave me for moving forward. As I said, she really is SIMPLY THE BEST. For me, a few people are a real gift in life. My daughter. My parents. My best friends too. And although I have known Beverly for just last year when she helped me with my divorce, I consider Attorney Beverly Vesel in this list. As a parent of a young child, when I got served with divorce papers, I had to be very prepared to defend and protect my child and myself. When we started, in very first meeting Attorney Vesel asked me what my ideal outcome was. When we finished, that ideal outcome was a reality. If you do decide to work with Beverly, this is my simple advice- “Listen, really listen, to her recommendations” – She has seen more cases like yours than you can imagine. I always followed her advice, even when I differed with her, and she always turned out to be correct, each and every time.